An application or ‘app’ for short is a software that is designed to perform various tasks on a mobile device or tablet. There many apps that the users can download from the internet and used. Some of these applications are free to download and use while some are paid ones. There are thousands of apps available of the web that perform basic task like a calculator or games and other utilities. Popular apps include facebook app, an app for twitter to name a few. A mobile app. Developer is a basically a programmer who develops programs for mobiles, smartphones and tablets. Development of mobile application involves same rules that apply for development of computer software with some restrictions. A mobile developer has to design an application keeping in mind the limitations of a mobile device like memory, screen size, battery usage, processing speed etc. All these limitations are not present in a computer where the size of the screen, memory has reached new heights. Developing and building applications for smartphones, iPads and other tables is one of the most in-demand jobs in the world right now. 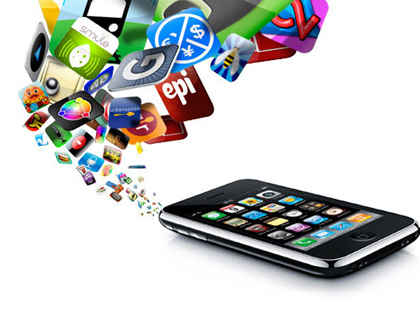 The research firm - Gartner estimates that worldwide revenue from mobile apps can touch $15 billion this year. The mobile application market is rapidly growing and gaining popularity as an emerging job opportunities market. India is the third fastest growing app market in the world. As per Gartner report, Indias active mobile connections will exceed 900 million by 2016, which translates to 72% penetration. According to Trai in January 2012 the number of active mobile connections in India has reached 659.99 million and the total mobile subscriber base stands at 903.72 million. It is estimated that every Indian user spends nearly 52 minutes per-day using mobile apps. Similarly, mobile app economy-estimated at nearly $4 billion (Rs 20,000 crore) in 2009 and expected to grow to $18 billion in half a decade-continues to expand exponentially. There is an increase in the demand of mobile applications as more and more people are using smart phones. It has been projected that mobile value-added services market (which includes mobile apps) will reach Rs 214.1 crore by the end of 2012 from Rs 158.6 crore in 2011. Revenue generated by mobile VAS was INR 122 billion, as on March 2011. It is estimated to reach Rs 482 billion by 2015. To put the demand in perspective, consider that Apple racked up $1.78 billion in app sales in 2010, and global mobile app sales are forecast to hit $4 billion this year, according to market researcher IHS. IT job site Dice.com found that job postings for Android developers soared 302% in the first quarter of this year compared to the first quarter of 2010; ads for iPhone-related positions rose 220% in the same time frame. Elance.com, a website for freelancers, reports comparable demand: In the first quarter of 2011, there were 4,500 mobile developer jobs posted on the site -- an increase of 101% over the number of similar job postings in the same quarter last year. The total number of job listings on the site expanded at a rate of 52% in that same time frame, indicating that mobile development as a career segment may be growing twice as fast as the overall job market, according to Ellen Pack, vice president of marketing at Elance.com. It's not just tech companies that are on the prowl for mobile development talent. Today, all kinds of product and service companies are scrambling to come out with apps, just as, a short while ago, they were working to establish a presence on social networking sites. 1) Java: Applications developed in Java for resource-constrained devices (e.g mobile phones) are known as MID. Java for mobile application developmentconsists of two elements: a coding terminology and operating environment, which can run programs written in that language. The format of the java coding syntax is similar to C ++ object-oriented language. A big difference between C ++ and Java is that the program designer in C ++ will compile the source code particularly for a particular device for which application is intended. 2) QT: Mobile development pulpits are many and sometimes it happens that the same application is developed for different platforms. This would mean lot of work and use of various technologies however with cross platform mobile development technology all these hassles become negligible. QT is an excellent cross platform mobile development pulpit and allows you to develop applications for different devices and OS, such as MS Windows, Mac OS X, Unix system, Symbian, Android and others. 3) Windows Phone SDK: The latest available version of Windows phone SDK is 7.1 allowingmobile developers to develop their own mobile applications and list them on the Windows Phone Marketplace. Windows Phone SDK 7.1 contains Windows phone emulator, additions for XNA game facilities 4.0, assemblies, Expression combination SDK, Silverlight SDK and DRT, WCF information services and Microsoft Promotion SDK to further enhance Windows mobile application development. 4) iPhone SDK: Developing for the iPhone for the operating system IOS is only for Mac OS X. To make programs for the iPhone, iPhone developers are motivated to use Objective-C. In this case it is possible to make the same application using C and C + +. However this is not as successful as most of the API is designed in Objective C.
5) Android SDK: To make for Android, you can use the Eclipse plug-in set up with the ADT. The development is in programming language Java. 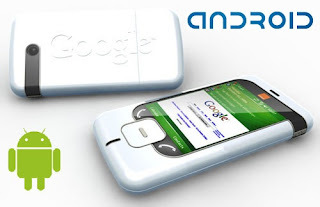 It is possible to debug using the emulator designed into the ADT, or immediately on a mobile device running Android. Different versions of the SDK have evolved to facilitate Android application development. As newer technology for mobile application development emerges older technologies go down the record. To develop the best application a mobile application developer should be abreast with evolving technologies and use it in all latest projects. Like most of the careers a graduation degree is a must to apply for a job. This formal qualification must be accompanied by strong programming skills, especially in Java, HTML and Object Oriented Programming. Expertise in the specific APIs and user interface toolkits of major mobile platforms like Google's Android and Apple's iOS is a plus -- though a lack of such experience wouldn't necessarily mean you have no chance of becoming a successful mobile app developer, experts say. A skilled programmer should be able to move between languages fairly easily, since mobile development essentially just involves learning a new syntax. There are various institutes that offer a course in mobile app. Development. You can join a course that teaches you to designs for iOS or android(the latter becoming more popular now days) Being a practical subject, learning by doing will the best option for you. If you don’t want to join for a classroom course you can take the help of various online tutorials, you tube videos also. A beginner in a mobile app development can expect a package anything between 2 to 3.5 lakh per annum whereas an expert can easily get a package of 4 to 6 lakhs. A freelance app developer is a person who develops the app by himself and put it on a app. sharing website.Mobile app development has come of age today. With the ever-rising demand for smartphone apps, this field is full of Apple, Android and BlackBerry developers. Submitting your app has become much easier, with the major app stores relaxing their restrictions. Most app stores charge a nominal registration fee, which makes it more lucrative for the app developer. But can a freelance mobile app developer really earn that much from his independent occupation Most of the major app stores charge you a 30% commission on the sales of your app in their marketplace. The BlackBerry World charges only 20% commissions.The webOS pays their developers via PayPal, which decreases your commission further. Hence, this one may not be an extremely viable for you, returns-wise, especially if you are a US-based mobile app developer. Your aim is not just breaking even, but also making a decent sum every month, from the sales of your app. For this, you will first have to decide a target sum you want to earn and based on that, see if you can manage to generate the volume of sales required to make that much amount of profit. :iPhone has created its own market in the mobile industry. It has created a competitive atmosphere in the market. It has come with the tremendous features and dynamic applications. Growth of mobile application involves same rules that apply for growth of computer software with some restrictions. Now software engineering is leading field in these technologies (Desktop Web technologies and mobile web technologies). In last decade, Desktop web technologies were his at peak level but now Mobile application development is going to defeat. I have read you post, you are talking about various technologies like iphone sdk, android sdk etc. which is good for developers.